The quality on this old film is poor, nevertheless, it gives a good idea of the quick-firing procedures for the French 75 mm Auto-Canone Anti-Aircraft Gun, and its dangerous recoil. I wonder if this fitted out, unique vehicle was designed by the aircraft manufacturer specifically for delivering their aircraft, as it does it have a civilian WW1 period number plate ' 1A 1973 ' , the ' A ' indicating a London registered vehicle. I think it is French. British licence plates at that time had to be white letters on a black background. I am sure you are correct. With the photo caption being in English, and for the WW1 period British number plates used a location letter, A for London, B for Lancashire and C for West Riding of Yorkshire etc., I thought the vehicle was a London civilian vehicle. As it happens, at that time, Military vehicles also used civilian number plates, so would have been none the wiser. If the vehicle is French not British, then perhaps the aircraft is also French ? Can anyone identify the aircraft ? It could be 'IA' an Irish registration. EDIT Its a German registration. Do you have the rest of that article, or just the photograph ? As depending on the nationality of the vehicle, with its registration plate possibly being British - French - Irish or German, that would probably help us identify the make of the aircraft being transported. If Phil w is correct, and it is a German vehicle and aircraft, the aircraft with that distinctive nose, single prop, and thin body, it could be a German Halberstadt D Type ??? Any other suggestions anyone ? The article is about 95% French aircraft use, the rest British, so it could be either. It was just a pic of a plane , no further info. The reg, if it begins 1A, and is British was issued in Antrim. 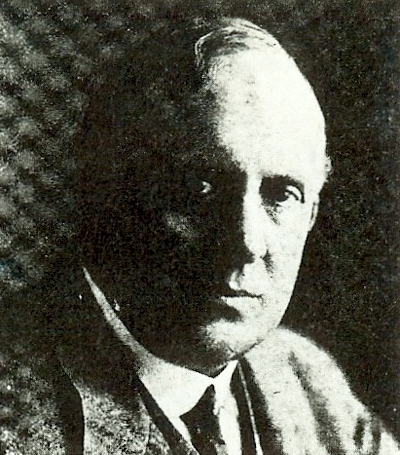 The Lanchester Motor Co. Ltd., was originally formed in 1899 as The Lanchester Engine Co. Ltd., by three brothers, Frederick, George and Frank Lanchester. 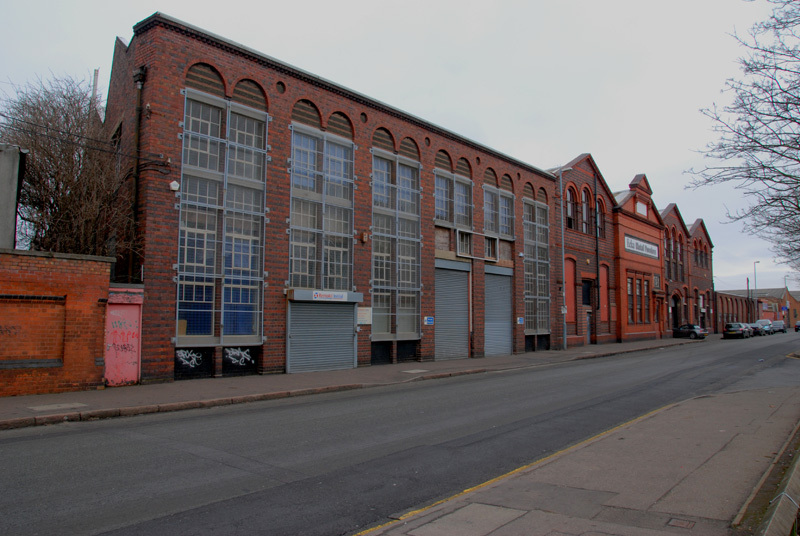 Their original factory was at Armourer Mills, Montgomery Street, Sparkbrook, Birmingham and later after being sold, the Company moved to Coventry sometime in 1930. 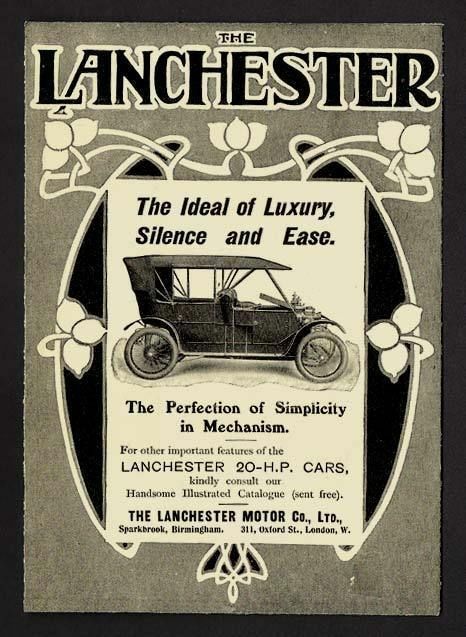 Originally, The Lanchester Company made quality motor vehicles with coachbuilt bodies, and were the first motor company to market disc brakes. 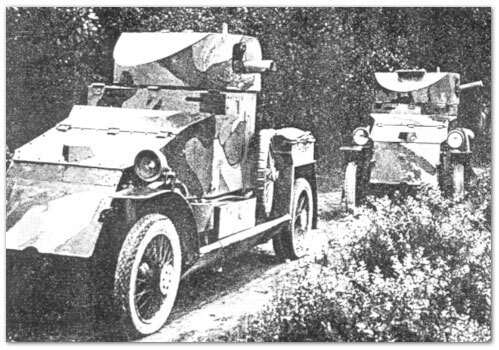 At the start of WW1, the Company diversified into the production of munitions, aircraft engines and the Lanchester Armoured Car, which along with Rolls Royce, was the most common type of Armoured Car used by the British Army, the Lanchester eventually being phased out in favour of the Rolls Royce Armoured Car. 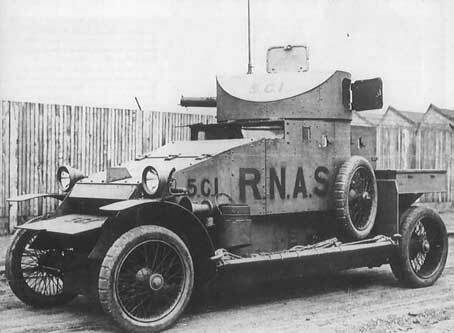 The first consignment of 36 Lanchester Armoured Cars were delivered in March 1915, and were used to equip 3 Squadrons of the Royal Navy Air Service ( RNAS ), later Lanchester Armoured Cars were used on the Western Front, others were later sent to Russia with Locker-Lampson, and saw service in Turkey, Persia and other parts of Eastern Europe. The Lanchester Armoured Car had a six-cylinder, 4.8 litre engine, which developed 65 bhp at 2200 rpm. The gearbox was a three-speed epicyclical type and the transmission was by worm drive to the rear axle. 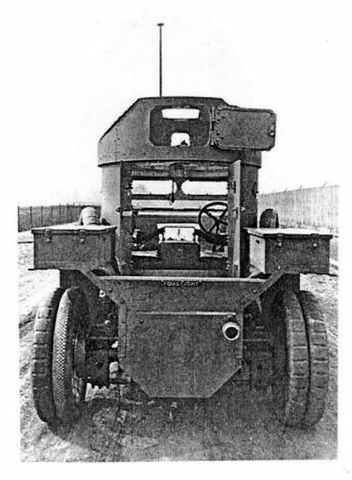 Although armoured and weighing some 5 tons, the Lanchester Armoured Car had a top speed of 50 mph. 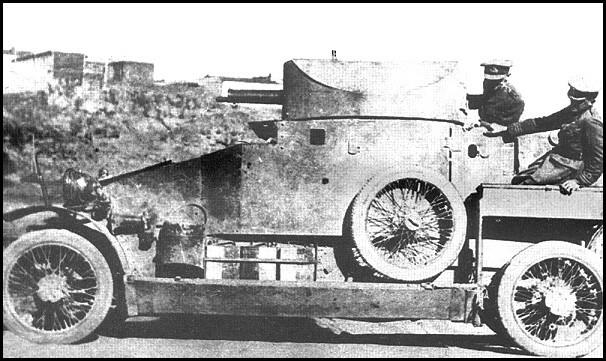 The Lanchester's main armament was a Vickers-Maxim machine gun mounted in the turret, a Lewis light machine gun was usually also carried in the in the vehicle. The Lanchester's crew, was usually 3 or 4 men. Photographs show the Lanchester with its original RNAS markings, and its interior, including the seating arrangement in the gun turret. 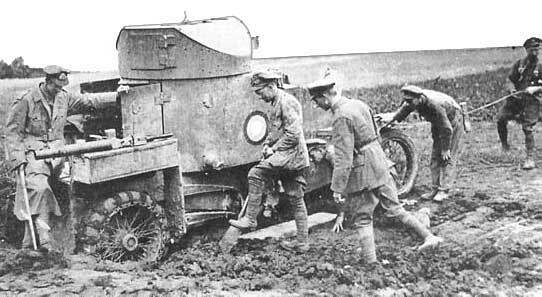 A Lanchester Armoured Car stuck in the mud, note the Lewis light machine gun normally carried in the vehicle, has been removed, presumably just in case it is needed while the vehicle is vunerable. 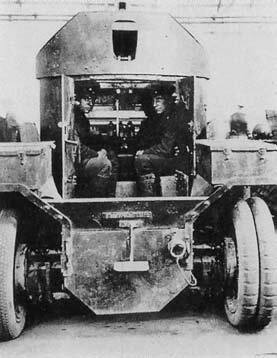 A Lanchester Armoured Car with Naval crew. 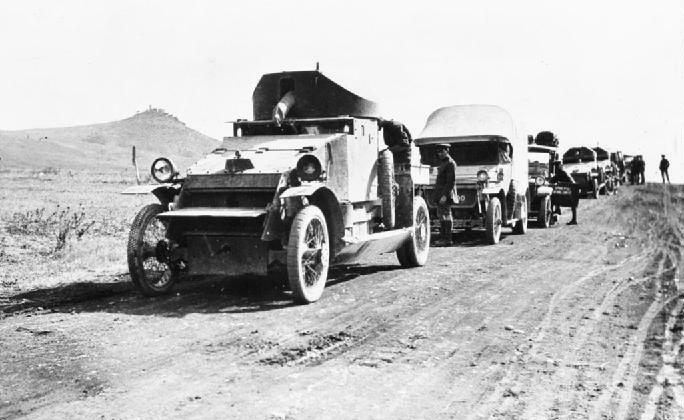 Lanchester Armoured Car leading a transport convoy. The Lanchester brothers, Frank, George and Frederick. Site of Lanchester's original Birmingham factory. Did the Lanchester armoured cars have fluid flywheels, LH? 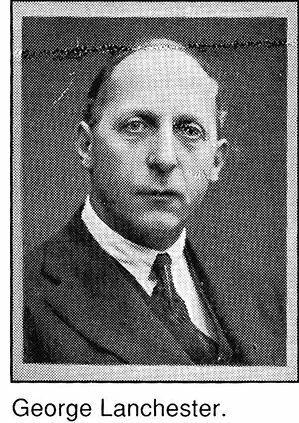 They were the usual accompaniment for an epicyclic gearbox and if the R-R had a conventional clutch the probability of extra maintenance of the Lanchester in the field might well have tolled its knell. Epicyclic gearboxes could cause all kinds of fun and games because they don't work in a comparable fashion to the conventional gate-change box we all know. Just as is still the case with motorcycle gearboxes today, conventional gearboxes of the time did not have synchromesh so you had to de-clutch and rev the engine when changing down. Whether you change up or down, you pre-select the next gear of an epicyclic 'box, i.e. before you need it, and it only changes when you trigger it. If you were in top, for example, you could select the next one down - probably second - at any point after you'd changed up. There was nothing stopping you pre-selecting bottom, though, and if you forgot you'd already pre-selected a gear that was easily done. When you triggered the change across more than one gear-ratio the sudden and immediate increase in revs could do major damage to the engine. If you could drive most WD vehicles you could swap from one to another with little more trouble than having to get used to the new vehicle's characteristics but you'd need to be specifically trained on the Lanchester, another handicap for the Army. Apparently not, the first reference I can find to fluid flywheels being fitted to a Lanchester vehicle was in 1931, when Daimler's fluid flywheel system was fitted to one of the Lanchester models. Here are some interesting photos of WD surplus trucks now in service on the railways. 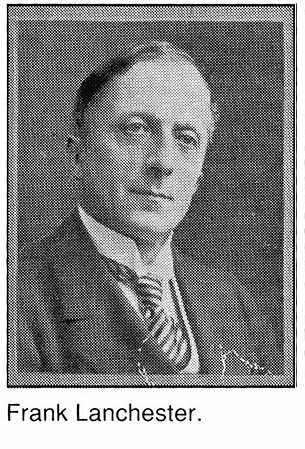 These photographs are the property of the National Railway Museum and are produced here under the Creative commons attribution non commercial sharealike licence. Fantastic images chaps. Not much comment being made, but plenty of viewing. Well done. Are they 'Mud Chains' fitted to the rear tyres? Possibly, however, If they were, they do not seem to be coping very well with the muddy conditions. Take a look back at posts # 164 - 167, and you will see a reference to special ' combat tyres ', although they are very different on the Lanchester, perhaps if they are not ' mud chains ', they may have been a form of ' combat tyre ', presumably to give better traction and manoeuvrability ?